A cold early September wind was already blowing at daybreak when hundreds of riders gathered at Hampshire High School for the Paul Ruby Sub-5 Century Challenge. The competitors were shivering, chatting and trying to avoid mud puddles that had gathered in the school lawn as they clacked around on cycling shoes. 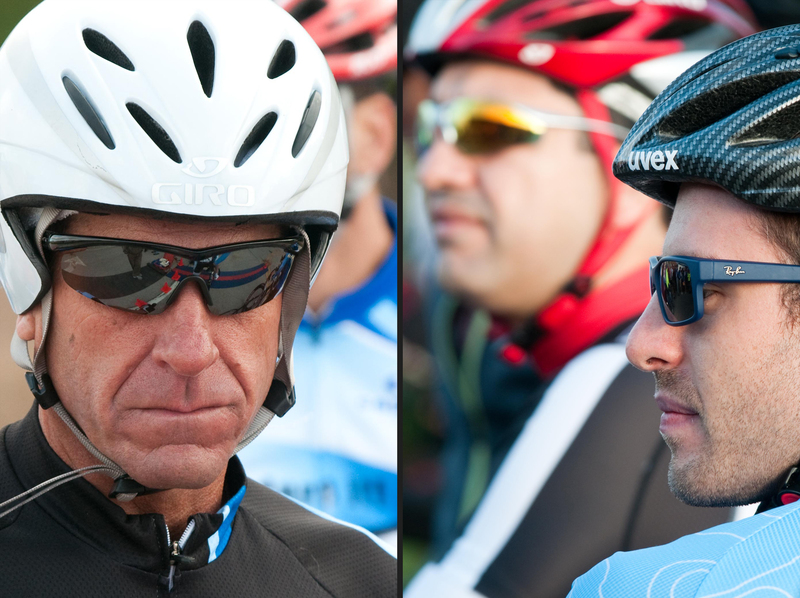 I was a little disappointed that there wasn’t a more dramatic looking sunrise, but quickly started capturing portraits of the riders as they talked, joked and discussed strategy. These teams turned out in the teeth chattering September chill in order to raise money for the Paul Ruby Foundation for Parkinson’s Research. 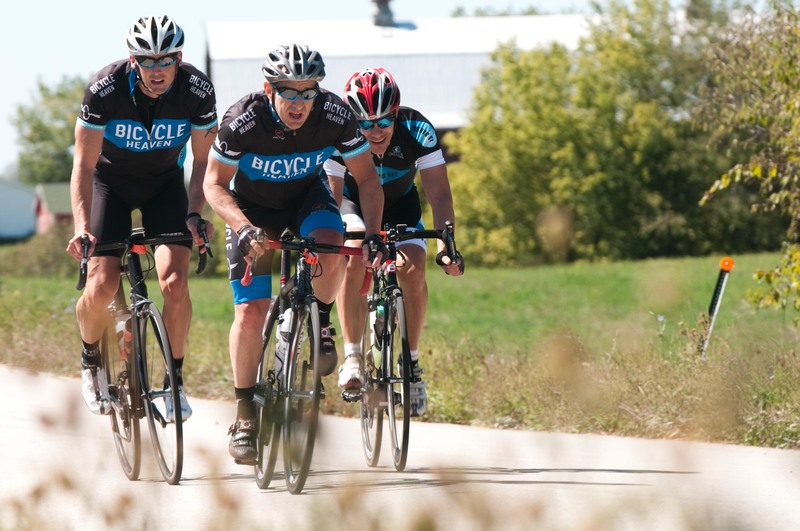 Many of the riders were part of 16 member teams who were competing against the clock, and not against each other by completing a 100-mile ride in less than 5 hours. In addition there were several shorter recreational ride courses set up for all levels of riders. 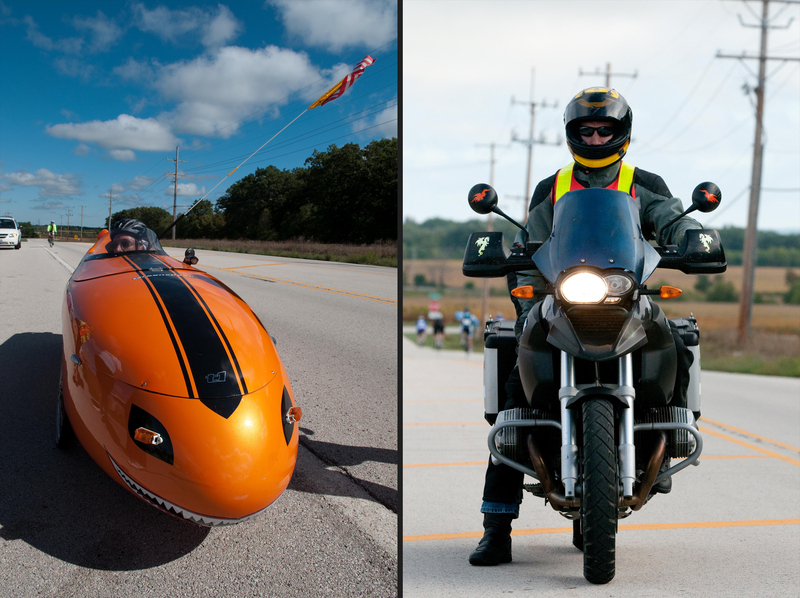 Some of the interesting additions to this year’s event were a local BMW motorcycle club who volunteered to support the riders, and one of the riders used a recumbent bike with fairing. He mentioned that it has an electrical system that provides him with head and taillights. The trade-off is that it requires a 5 lbs motorcycle battery. I was able to ride along with Steve Overton who was coordinating the support drivers this year. While I didn’t get to spend very much time at the start or finish line, I was able to capture moments of determination, teamwork and success with each of the teams all around the course. After a few hours of alternately hanging out of the support van window and setting up a stationary position at the roadside a call came over the radio that the last rider on the course was coming in alone. Steve sped over to his position, and as we came alongside two things were clear. First, this guy was exhausted, and second, that he was going to finish his century and not give up. We accompanied him over the last 15 miles with me snapping photos and Steve yelling encouragement. 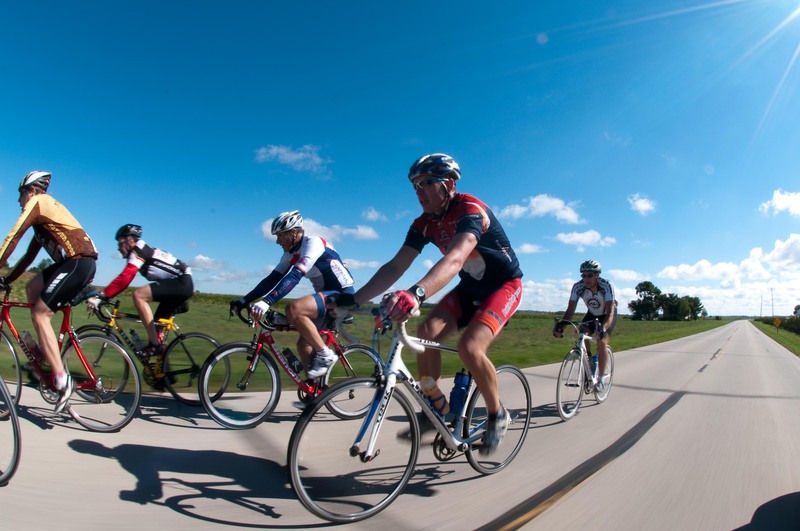 On the day of the ride, the Paul Ruby Foundation was able to net at least $50,000, which like the more than 400,000 raised in the last five years will be used to directly fund Parkinson’s research. For more information about Paul Ruby Foundation for Parkinson’s Research or if you are interested in getting involved, please visit them online at http://www.paulrubyfoundation.org. Two of the challenges with photographing an event like this are isolating the focus on the faces of the riders as they move towards the camera at speed, and giving the photos a consistent style without shooting them all from the same spot. I wanted to maintain a somewhat narrow depth of field in order to separate the riders from the background. In order to do this, from each of my stationary positions, I chose two or three preset focus points, and then captured the riders as they rode through that point. In addition, I had Steve pull alongside the riders and match their speed. This allowed me to freeze the faces of individual riders and by using a slightly slower shutter speed and greater depth of field, provide the motion blur in the background. Steve’s white minivan provided fill light by acting as a reflector. Fortunately, I was able to shoot from a variety of different positions over the course of the ride. In addition I found a few spots where the drainage ditch was a few feet below the road level and was a bit overgrown. From here I was able to shoot from nearly road level and the out of focus grasses in the foreground contributed to the overall sense of depth.